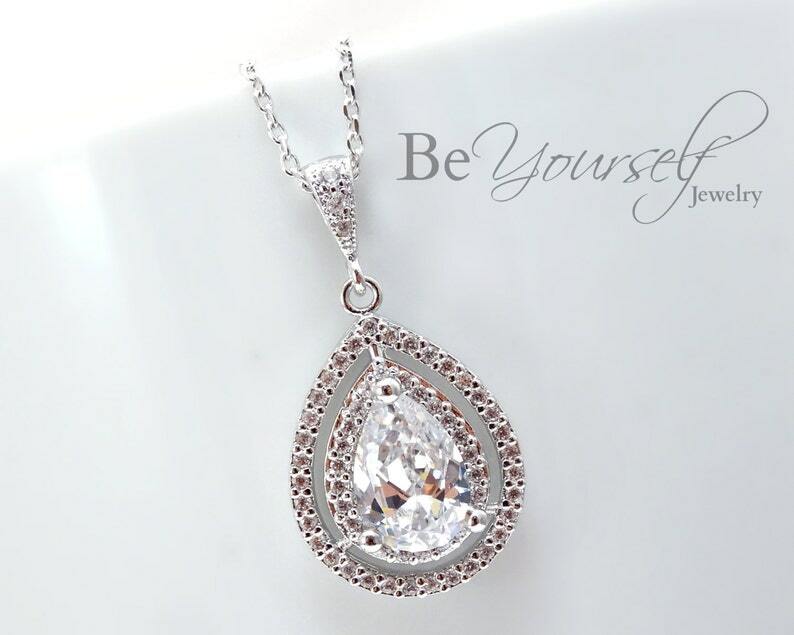 White crystal teardrop necklace made with high quality Cubic Zirconia components. This necklace is highly detailed, well made and perfect for weddings and special occasions. You will fall in love with this design!